Thank you for your interest in becoming a Volunteer. GiGi’s Playhouse is a volunteer run organization and we rely on the skill and dedication of volunteers of various levels of expertise to keep our programs vibrant, educational, fun and free. 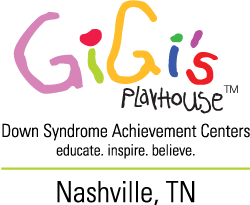 Since the first Playhouse opened in 2003, GiGi’s Playhouse programs have always been free for our families. Parents, family members, clinicians, and individuals who believe in the GiGi’s Playhouse mission act as volunteers in GiGi’s Playhouse programs, events, administrative offices, and on our Board of Members. Clean Team: Come in once a month on a Saturday afternoon to clean toys, organize and decorate. This is a great opportunity for youth groups, businesses etc. Computer/Tech/Media: Hook up the copier/printer, come in as needed for computer assistance, and organize/label wii and x-box games/set up informational slide show on television. Handyman: touch up painting, fix broken toys, fix trim around stage, replace smoke detectors, etc.